Special thanks to Juhree Fort and Gary Marinovich! 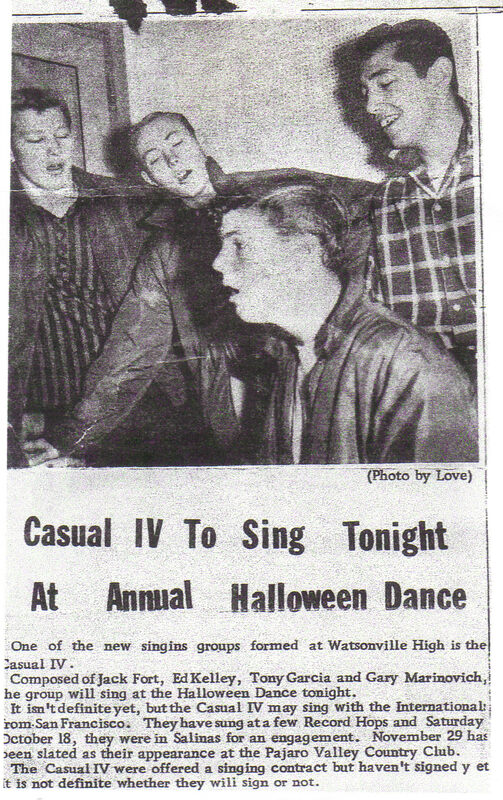 The Classics were a vocal group out of Watsonville,California. Originally they called themselves The Casual IV but somewhere along the way the name was changed to The Classics. While still attending Watsonville High School they met up with fellow local musician Danny Lester. Danny had a friend, Chuck Daniels, who had written a couple of songs and urged The Classics to record with him in the studio. The song "Glass-Pak" actually has Jim Molina handling the lead vocal part which amounted to Jim taking on the character of "Mo The Mouth" and talking his way through the song. Background vocals were provided by The Classics with Chuck Daniels helping out. 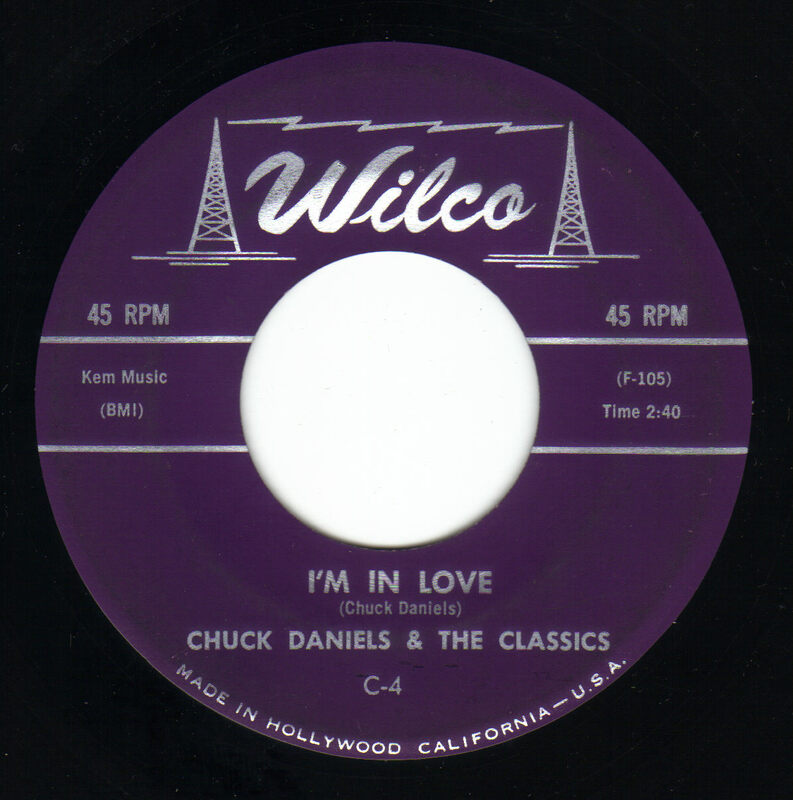 The song "I'm In Love" has Chuck singing lead with The Classics providing background vocals. 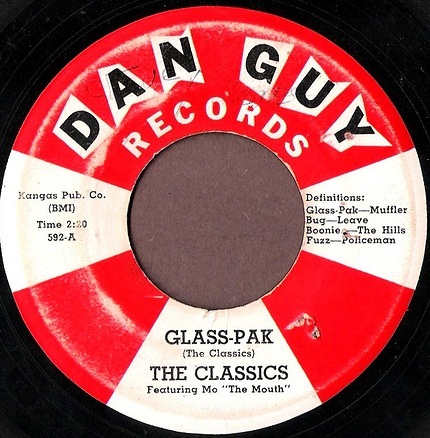 The songs were released on Dan Guy Records as The Classics featuring MO "The Mouth" on "Glass-Pak". 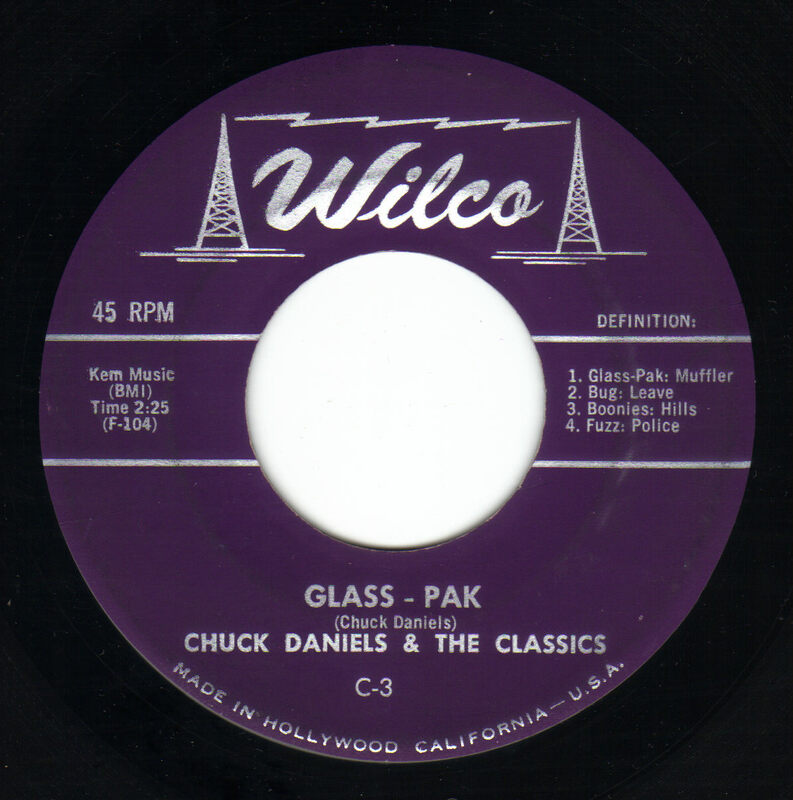 The record label even provided definitions of some of the terms used in the lyrics of "Glass-Pak" in case the public was too square to understand. "Glass-Pak" started to get some regional airplay and famed San Francisco radio station KYA picked up the song. The band was thrilled to hear their music on the radio. They would perform locally opening for well known touring acts such as The Flamingos passing through the area. Chuck Daniels took the songs down to L.A. to shop them and the songs were released on the Wilco label as by Chuck Daniels and The Classics. "Glass-Pak" again had some regional airplay but never became a hugh hit but has since gained notoriety as a '50's "car song". After the guys graduated High School the band split up each going there seperate ways. Chuck Daniels released a couple more records but never achieved hugh sucess.